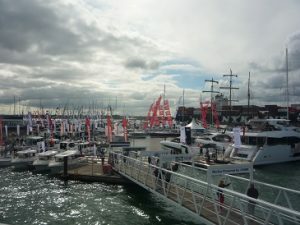 New sponsors of the Southampton Boat Show TheYachtMarket.com are certainly planning, in partnership with British Marine, a variety of entertainment for this year’s show which will be open to the public, in Mayflower Park and on the water, from 15th September to 24th September. Visitors to the Show will find that after purchasing their entry ticket many of the attractions at the Show have free access and for anyone under 15 with an adult, entry to the Show is free too. There will be the chance to step on board and explore the three-masted barque- Kaskelot. With its knowledgeable crew and state-of-art restoration it will offer a treasure trove of stories and adventure for all visitors. One of the largest remaining wooden ships in commission, measuring 46.6m, she was built in Denmark in 1948 by the renowned J Ring Andersen Shipyard. Commissioned by the Royal Greenland Trading Company and used to supply remote areas of Greenland until the 1960’s she later became a fisheries support vessel in the Faroe Islands. In 1981 her fortunes were changed when she was completely re-rigged and set sail for a new career as a sail training vessel, as well as becoming the occasional movie star. Her appearances include the Return to Treasure Island (1986), The Three Musketeers (1993), Amazing Grace (2006) Alice in Wonderland (2010) and Poldark (2016). On Saturday 16th September Kaskelot provides the backdrop for a celebrity pirate- TV presenter Gemma Hunt who will be signing autographs. Kaskelot’s presence for all 10 days of the Show, offers a rare opportunity for visitors to climb onboard and learn about the history of one of the last classic wooden tall ships still in existence, all for free. Children can go out on the water for FREE and learn a new skill or sharpen up their existing skills. 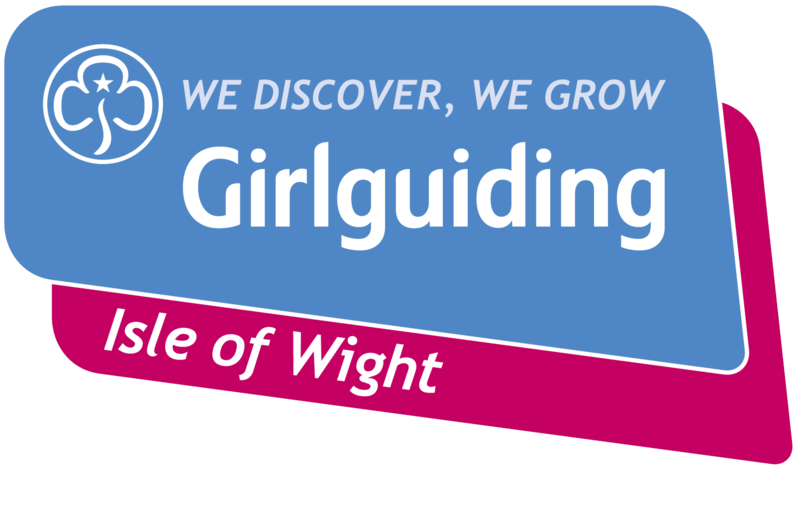 Get Afloat will be run by Rockley who provide professional and qualified instructors. Everyone will have the chance, free of charge, to experience a Cruise on Southampton Water on an Ocean Scene mini cruise ship. Departing the marina twice an hour the Ocean Scene will take visitors for a mini cruise around TheYachtMarket.com Southampton Boat Show. You will be able to see the Show from an entirely different angle and when there is a cruise ship in port there will be the opportunity to see it up close. Each sailing will last for approx. 20 minutes. New for 2017, the Paddle River Experience will be found in Solent Park. Paddle your way round the course and see how quickly you can complete the course or take your time and enjoy the scenery. Sign up for free at Solent Park. 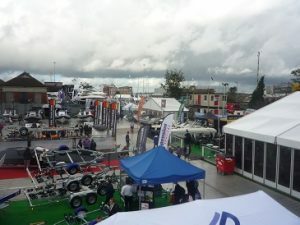 Entertainment is central to the Boat Show and two stages will host some tribute acts, music from around the world and guest appearances from some sailing celebrities. Might Be Buble and So Sinatra are already on the bill. For some, one of the main reasons for visiting the show is to see the latest designs from the dozens of exhibitors. 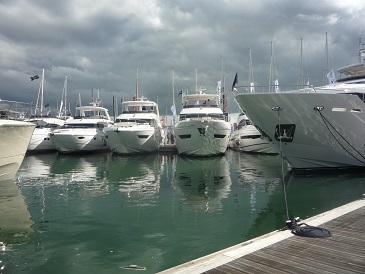 These include Island companies: Seaward and BVD (MB Boats). 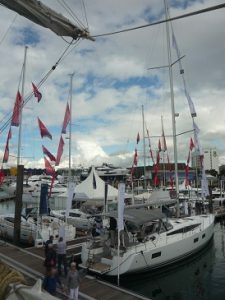 Seaward will be undertaking the global launch of the Seaward 39 an all- weather motor cruiser (on their marina berths M127/M129) whilst BVD (stand AO48) will have some of their ever- popular boats on display. 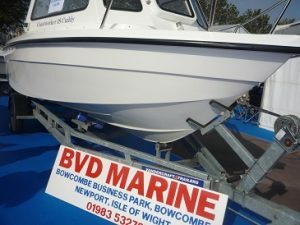 MB Boats is a company based solely on the Isle of Wight having been started in 1986 but the owner Michael Brackenbury has been in the boat business now for 53 years. With all boats made at Bowcombe Business Park near Newport, this year they will be showcasing at Southampton for the 32nd year in a row. On display this year will be 3 Microboats, a tender, an easy launch tender and a sports boat. Also, for show visitors to see will be a Seaspray 4metre dory, a Seaspray 15ft fishing dory, a Seaspray 15ft centre console and the new Coastworker 18 Offshore Sport plus other various inflatables, outboard motors and trailers. 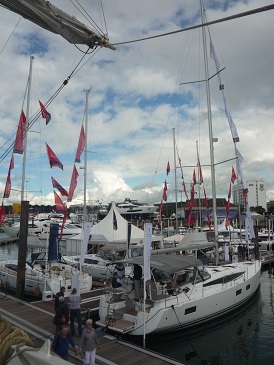 Other Island businesses at the show include Shipmates of Cowes, Cowes based World Cruising Club and East Cowes Marina. As well as stands across the park there is one of Europe’s largest purpose- built marinas with over 2km of pontoons, displaying more than 300 boats. Here are berths with some of the World’s most prestigious exhibitors and brands, hosting global, European and UK launches of yachts, RIBs, motor and day boats. In addition, the Marina holds many exciting feature boats. For the benefit of visitors’ comfort, some boats do need to be booked to be viewed. Opening the show on the 15th September is Millie Mackintosh- billed as a Fashion and Lifestyle Entrepreneur but maybe better known for her appearances on Made in Chelsea she is reported as being the heiress of the company Mackintosh makers of Quality Street. 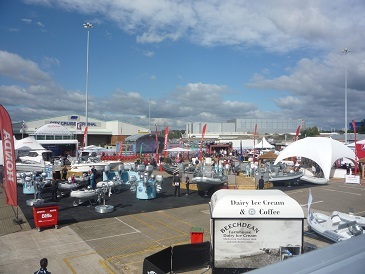 New overall sponsors of the Southampton Boat Show, The YachtMarket.com will be having their own stand (E040) where they will be hosting the ‘Knowledge Zone’ (free workshops) where boating industry experts will be giving daily talks and demonstrations on everything from ocean safety to buying, selling and maintaining boats.